Our friends Marcel and Ning came to visit this week and, along with many treats from the city, they brought a drone to take some aerial shots of the garden These four photos give a good idea of what the site looks like. 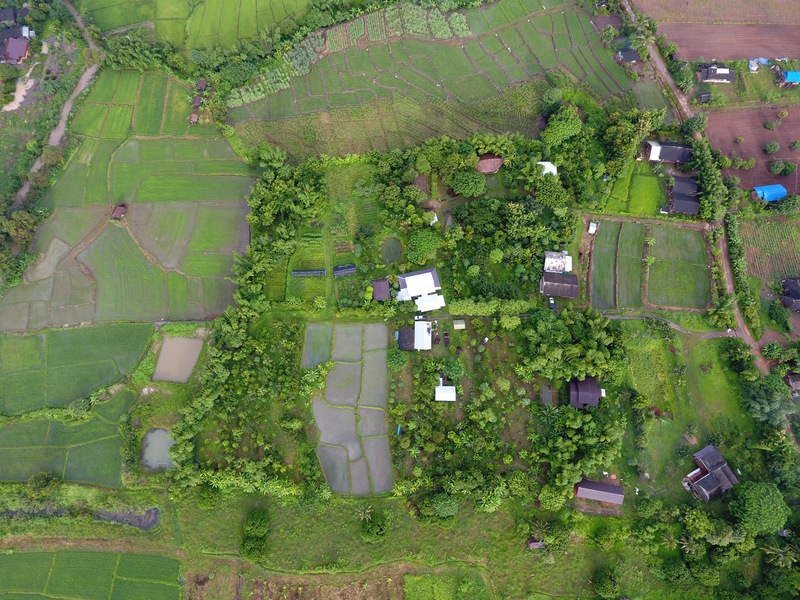 This view shows the current volunteers’ house in the bottom right hand corner with our (watery looking) rice field and the house, dining area and workshop in the centre. To the left of the rice field, below the forested area, two ponds are visible, the square more muddy looking one was dug this year, before the rainy season. 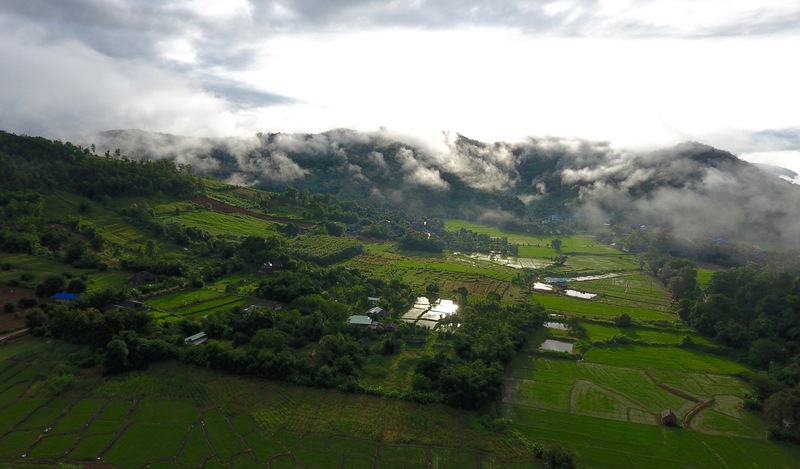 The photos were taken at around 7am, the sun is rising over the hills, Mae Mut village is nested under them about 1km to the east of us. This view shows the road leading from the village to our place, the garden terraces slope down from N to S. At the bottom of the garden, close to the forest at the top of the picture, runs the Mae Tian river. 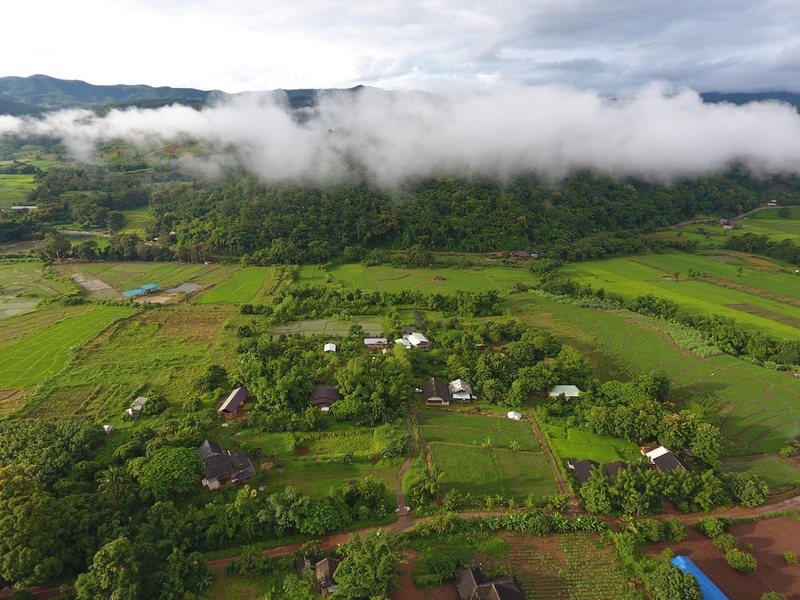 The Mae Mut valley runs from W to E, to the W the mountains rise to gradually reach over 2500m above sea level towards Doi Inthanon, the highest peak in Thailand, which in this photo is obscured by the clouds on the left. 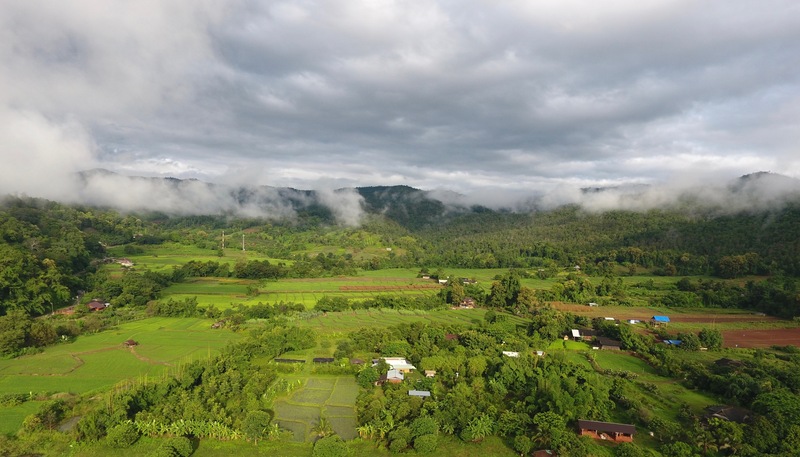 Categories: chiang mai, mae mut agriculture, village life | Permalink.